While things were quiet around the White House grounds yesterday, today we might hear the roar of NASCAR engines pulling into the complex. This afternoon, President Obama welcomes NASCAR Sprint Cup Series champion Tony Stewart to the White House South Lawn. We'll have to see if his number 14 car comes along with him. This is the third time he's won the Sprint Cup Series. 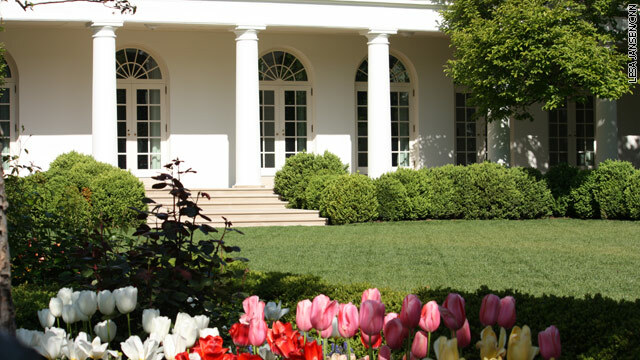 But the White House has also added a morning statement in the Rose Garden about gas prices and more oversight in the oil markets. The politics of oil prices is still a major issue on the president's plate. He and Attorney General Eric Holder will outline the administration's newest proposal on how to combat those who are profiting from the volatile markets. White House Press Secretary Jay Carney will hold a briefing at 12:30p. For the full White House schedule, click below. Looks like a budy schedule for the day.